The 2018 Jeep Wrangler receives a new redesign. 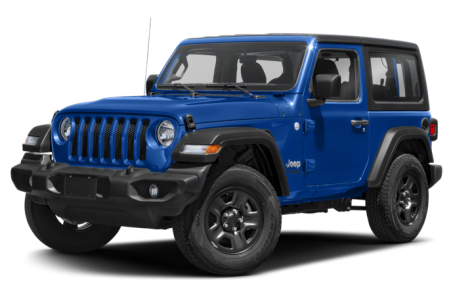 This fourth generation of JL Wranglers is designed to be a more comfortable ride while retaining its toughness on rugged terrain. The two-door Wrangler has two trims available: the Sport and Rubicon. Under the hood, it is powered by a 285-hp, 3.6-liter V-6 engine mated to a six-speed manual transmission and four-wheel drive. A 268-hp, turbo-diesel 2.0-liter four-cylinder engine joined with an eight-speed automatic transmission is available as well.